The great thing about the Seabreeze Series is that it is a smaller version of the Grand Award Winning and Best of Show Winning Avalon Series. 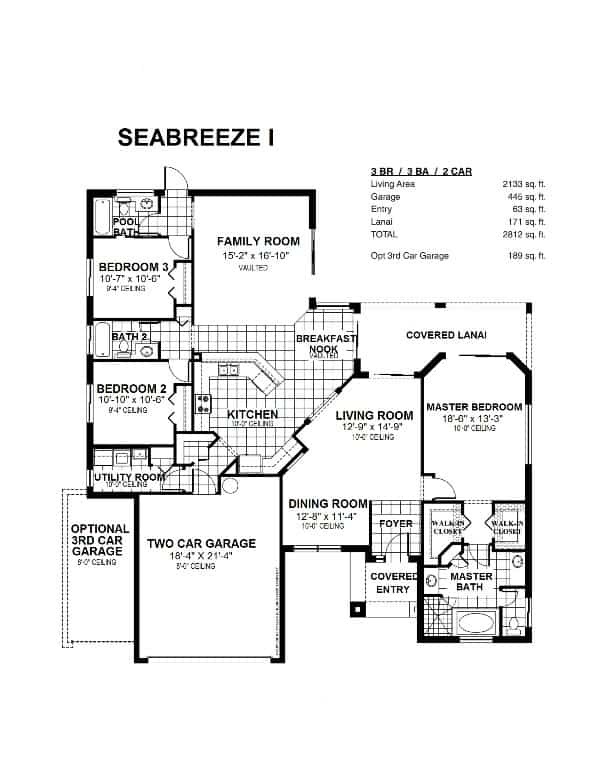 All Seabreeze models can be built with a side load 2 car garage with a storage or workshop room. Lots generally must be at least 95 – 100 FT wide for this feature.